Moving from Baltimore, MD to Albuquerque, NM? The city of Albuquerque is the most populous city in New Mexico. Approximately 558,000 residents live here. Many people visit the city to enjoy its unique culture and rich history. Furthermore, some fall in love and end up making it their permanent home. This City is known to be the ballooning capital of the world. 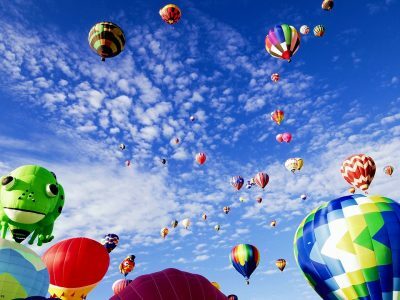 The International Balloon Fiesta, which is the world’s largest gathering of the sort, takes place in October every year. Albuquerque also has a concentration of high-tech companies and government institutions. The city has a lot to offer, whether you are visiting or relocating. And we can help you with reliable car transport service. Let Us Ship Your Car From Baltimore, MD to Albuquerque! Avoid the hassle of driving and let us ship your car. We provide professional car shipping of all types of vehicles from state to state. From Baltimore, MD to Albuquerque, NM it takes about 27 hours to drive — a trip of 1,859 miles. But you can save time and money when using an auto transport service like ours. Avoid putting extra miles on your car and save on gas. Our team does all the work for you by providing professional door-to-door vehicle transportation. Our drivers will safely ship your vehicle in the most professional manner, following all safety regulations. We offer the best prices available for car transportation. Get your free auto shipping quote online or call us to chat with a live representative.